Four centuries ago, a Muslim woman ruled an empire. In 1611, thirty four year old Nur Jahan, daughter of a Persian aristocrat and widow of a subversive official, became the twentieth and favorite wife of Emperor Jahangir, who ruled the vast Mughal Empire of India. An astute politician, devoted partner, and the Empire’s best shot who killed killer tigers, Nur Jahan was the only woman to acquire the stature of co-sovereign. A talented architect, the mausoleum of her parents inspired her step-son’s Taj Mahal. Her confident assertion of talent and power is revelatory and far exceeds her contemporary European queens. Her legend lives, but her story was lost – until now. Ruby Lal is an acclaimed historian of India. 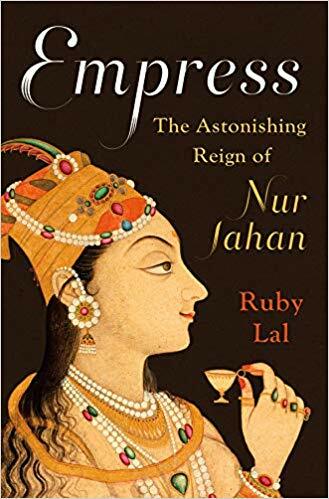 Her recently published biography, Empress: The Astonishing Reign of Nur Jahan is nominated as a finalist in History for the Los Angeles Times Book Prize. Among the top ten pick of the Time Magazine, The Telegraph and the Prospect Magazine London, EMPRESS has been lauded by The New Yorker, The Guardian, The New York Times, the BBC, The Indian Express, Business Standard and numerous other national and international journals, magazines and newspapers. 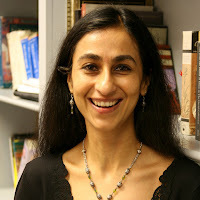 She is Professor of South Asian History at Emory University and divides her time between Atlanta and Delhi.